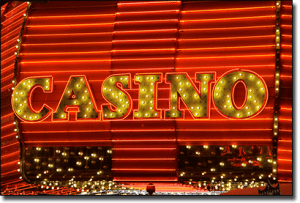 When playing in a real life casino you’d be surprised at the little tricks of the trade employed by casino vendors to influence punters to spend more and more money. Some of them are well known and obvious, while others are so subtle that you’d never even notice. One of the many benefits of playing online is that you can avoid these sneaky traps and in turn protect your bankroll, but next time you’re playing in a land based casino be mindful of these intentionally devised psychological traps. This is a widely known trick used by casino operators and one of the most successful. Casinos infamously make sure that there are no clocks on the walls so that punters lose track of time and end up playing for longer and therefore spending more money than they’d planned. If you’re not wearing a watch of your own or don’t have a smartphone in your pocket this can be quite problematic as dealers purposely don’t wear watches either so they can’t advise players of the time. Couple this sneaky tactic with the fact that many casino punters are tourists or vacationers without a schedule they need to stick to and your one hour of gambling can easily turn into several. 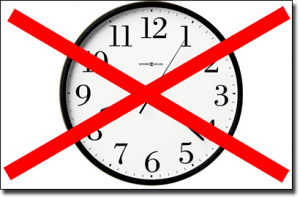 This sneaky ploy works with the no clocks rule in order to make sure players forget about the time. With no windows in gaming floors players are oblivious to whether the sun has gone down or come up, so you may be thinking it’s only 2AM when in fact the sun has already risen and fresh faced people outside are making their commute to work while you’re still in the middle of an intense poker game. Be aware of this, as you’d be surprised how non-existent your body clock is when there’s no external environment to influence it. In a world where basically nothing is free, land based casinos remain one of the few places where punters may receive free drinks simply for playing within the casino walls. 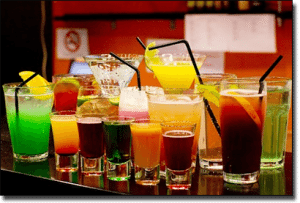 Make no mistake, this is not about friendly casino hospitality, this is a strategy by casino vendors to use alcohol to lower your inhibitions and decision making ability in order to make more money from you. Even in Australia where the drinks aren’t free (unless you’re in one of the exclusive lounges or high roller rooms) there’s a fancy casino bar around every corner, enticing players with its sophisticated array of bottles and tempting cocktails. If you’re going to indulge in free drinks, be aware that it’s likely that your blackjack strategy will become messy and you’re more likely to risk a bigger wager on roulette. It’s not an accident that casinos all around the world are designed to be quite maze-like. Casinos are strategically designed to form a labyrinth like effect, making it harder for players (especially those who are intoxicated) to easily find their way out, perhaps influencing you to spend a few extra dollars before finally finding the exit. This is why you’ll find gaming machines spread around in odd places and why there seems to be endless twists and turns that lead back to gaming tables rather than the entrance you swear was just around the corner. A lack of distinguishing landmarks makes it even harder to navigate your way around a casino so finding your way out after a few drinks can be quite the challenge. Spend any amount of time in a brick and mortar casino and it won’t be long before you’re offered some kind of gratuitous service or discount, whether it be a voucher for a free meal, a heavy discount towards a show or a loyalty card that promises all kinds of perks and freebies. 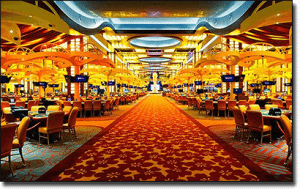 These aren’t offered out of the goodness of the casino operator’s heart to make sure your visit is as memorable as possible, freebies and discounts are used to make you stay in the casino longer, or return again. The psychology behind freebies and discounts offered by casinos is that even if punters are losing money, the freebie makes you think you’re not walking away empty handed, but the reality is you’ll end up spending more money in the end. High rollers, big spenders or punters that strike it lucky with a big win at a casino are treated with the most exceptional of VIP service and offered all kinds of incentives to return to play at the casino. From luxury suites to five star meals and even return airfares, high rollers are offered invitations they can’t refuse in order to return and inject more money to the casino. Whatever money the casino loses with these extravagant offerings, it easily makes it back once the VIP guests returns. It’s no coincidence that you always seem to be just one symbol away from landing a jackpot on the pokies. Near wins or small wins are purposely designed to boost your adrenaline and keep you hanging on for that seemingly inevitable big win that’s looming just around the corner. Table games and the pokies are designed to distribute smaller wins more often so that you’re left with the feeling that you have some kind of control over the outcome of the next game. While you keep taking in smaller wins, you’ll forget about how much you’ve actually lost along the way. You won’t find harsh fluorescent lighting, cluttered bar tables or uncomfortable seats in a casino, everything has been strategically designed in order to create warm, welcoming and pleasant ambience. Even the tacky, heavily patterned carpets in a casino are used because researchers have proven them to be mesmerising and pleasing to the human brain. From the soothing background music to the spotless housekeeping, everything in the walls of a real life casino has been designed to make you want to stay in that welcoming atmosphere for longer. When it comes time to cash in your winnings, take five for a bite to eat or go to the bathroom, you’ll notice that services and facilities are located even further inside the casino. You’ll have to burrow deeper into the depths of the venue in order to wash your hands or order a drink from a bar. This is a clever trick on the casinos behalf, as you’ll be forced to walk past the table games and pokies on your way back out and hopefully tempted enough to sit down and throw a few more dollars to the house. The flashing lights and exciting noises in a casino are all there to make it sound like someone nearby is winning big and that your turn could be next. The payout mechanisms in the pokies are purposely made of metal so that other players can hear the coins cascading down when a win is cashed, likewise for the sirens and bells that always seem to be ringing to signify a win. All the lights, sounds and action are there to create the illusion that everyone is constantly winning, while the opposite is true. Don’t want to be fooled by these tricks but still want to enjoy a relaxing real money session of blackjack, roulette or any other popular casino game? Try out Bovada Casino, our top-rated casino site for players from United States, which has some excellent welcome bonuses available for new players along with a great range of instant-play online casino games to choose from.